'Ireland's West Coast and Connemara - 7,000 years of landscape and culture'. 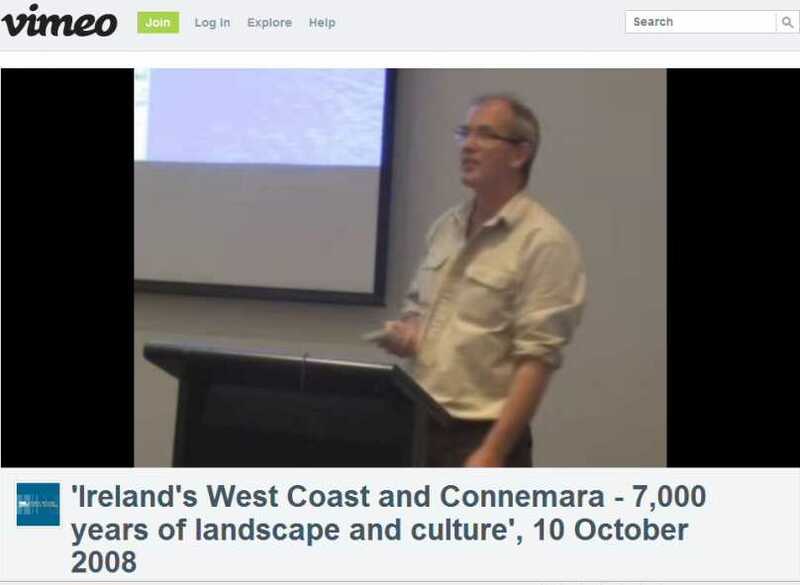 The blurb says:Irish field archaelogist Michael Gibbons visited the Victorian Archives Centre to present a wonderful archaelogical exploration of Ireland's West Coast and Connemara under the auspices of Culture Ireland. This will give you a further flavour! An hour and a half of a flavour! Enjoy!